NEW - Our 16th international networking on 21 October 2016 will be held in Citadele Bank Riga, Latvia. It will be on the subject of Health and the Environment. The full details will be soon on the Networking page. Further details can be had from Glen 00371 20226612 or info@sfk.lv. 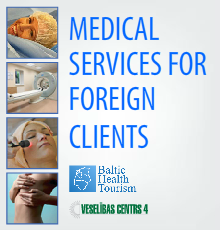 Baltic Health Tourism is now up and running. We are currently talking to Health institutions in UK, Germany and Georgia. We are steadily improving the range of treatments and offers available to clients - not to mention the chance of a holiday trip to Riga. We are still looking for more active partner companies who want to use the facilities in Latvia for healthcare. We would be pleased to talk with companies from the Scandinavia, Germany. Italy and UK (The Ryan Air triangle!!) We are also in negotiations with contacts in Russia and Armenia. I am now working with Kaspars Kops of "Tris Kalni" to provide fitness and health training and education to a wide range of people. My background is in athletics, cross country skiing and orienteering. The athletes I coach live in Latvia, Finland, UK, Kenya and Canada. Below is a sample of my experience where I ran as pacemaker in a one mile race for my friend and (a long way in front) rival Steve Ovett. I hope you enjoy watching it.